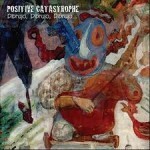 Positive Catastrophe is the brainchild of Taylor Ho Bynum and Abraham Gomez-Delgado. After nearly a decade of friendship and collaboration, Bynum and Gomez-Delgado founded Positive Catastrophe in 2007, a “raucous 10-piece ensemble…which nails its distinctive blend of Afro-Cuban rhythm and freewheeling improvisation” (The New York Times). The group enlists a bevy of New York’s most adventurous jazz and salsa musicians, all composers and bandleaders in their own right. 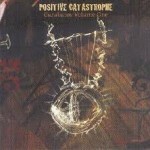 With the exceptional musicianship of the players and their fluidity in multiple genres, and a unique instrumentation that includes french horn, accordion, rock guitar, and dramatic vocalists that are comfortable singing in multiple languages, Positive Catastrophe “blend everything from salsa to Sun Ra, and the particulars of their mix can be beguiling” (The Village Voice).